Today’s Cool Album of the Day (#568 in the Series) is Deep Purple, Made in Japan. 40 years ago today, Dec. 3, 1971, Frank Zappa was playing the Montreux Casino. 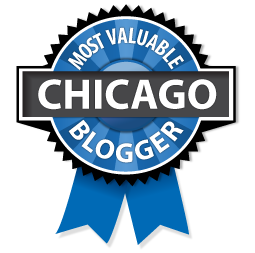 That night, some stupid with a flare gun, burned the place to the ground… I think you may have heard about that…. 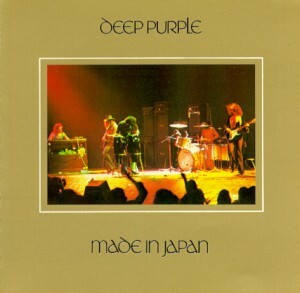 One of the all-time, classis live hard rock albums is the perfect way to describe Deep Purple’s release, Made in Japan. The oddity of it all is that this album wasn’t even supposed to happen. 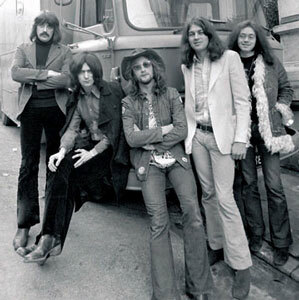 Deep Purple had just released their super successful album, Machine Head in March of 1972. The support tour for that album brought the band to Japan. The Japanese wing of their label at the time, Warner Brothers had been begging the band to release a live album. This did not interest the band. As the pressure mounted, they did decide to quickly mix tracks and in December of ’72, released Made in Japan, but only in Japan. The band did make a demand that they own all the master tapes immediately to ensure that it would not be released anywhere but in Japan. The album quickly became a success in Japan. So Warner Brothers approached the band in an attempt to have them allow it to be sold world-wide. This probably would not have happened if not for keyboard player, Jon Lord, who loved what he heard on the disc. It contained some of the best music the band ever did. “Smoke on the Water,” ” Lazy,” ” Space Truckin’,” ” Highway Star” etc. are all found here. Made in Japan peaked at #6 on the Billboard Top 200 Album Charts. 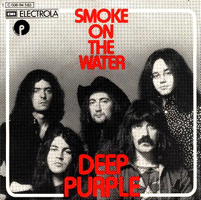 The name Deep Purple was Richie Blackmore’s idea. It was the name of a song from 40’s that was his Grandmother’s favorite. See more features we’ve done on Live albums.